Update: The 2018 predictions are now out. See what 15 top industry experts think is going to happen next year! Want to know what’s going to happen to the e-cigarette world next year? This year, I’ve tried to get a real variety of people contributing, and you’ll see predictions from a scientist, a politician (pro-ecig, of course! ), an inventor, public health, an industry representative, an ECITA representative, vaping bloggers, video bloggers, the founder of E-Cigarette-Forum and an internet TV producer. As with last year, I’ve also tried to get a mix of both new and former contributors (with some rejoining us from 2012). As this is a big post, this year you’ll also find key quotes at the top of the post, and links to each predictor. As you can imagine, many of these people are very busy – so my thanks go out to all of them for their time, and for putting themselves out there with their predictions! 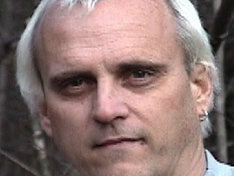 Clive Bates is the Former head of Action on Smoking and Health (ASH) and can be found blogging at CliveBates.com. After plateauing, vaping will resume its inexorable rise in 2015 because it will be easier for users to go straight to 2nd generation products that work for them. The business focus will be on simplicity and making sure new users can enter the category easily and without arcane knowledge. Many more vape shops will open South of the Watford Gap and connoisseur high-end liquids will take off. Totally Wicked’s case against the Tobacco Products Directive will be won, leaving a vacuum of government disarray that will be filled with enlightened user-centric regulation developed mostly by the industry and consumers. No-one responsible for the failed TPD will resign or even care. The data in support of harm reduction will continue to strengthen and the various ideologues, prohibitionists and fuss-pots who oppose vaping will look ever more weird and marginalised in the face of the obvious benefits. 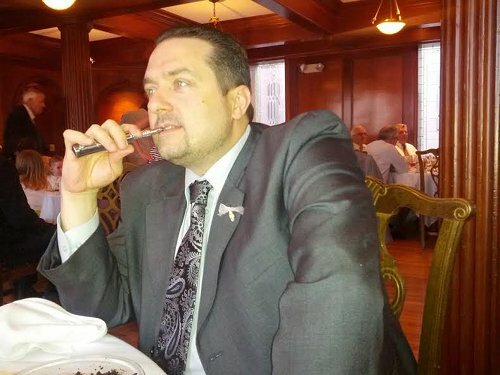 For the past five years, Grimm Green has been posting informative and entertaining articles on videos about ecigs on his blog Grimm Green Industries. MORE CLOUDS BRO! but seriously I feel like there are things that are always going to exist in the vape world. Bans, bad news reports, fighting the state and local governments, fighting the FDA. So things like that are a given. As we move past 2014 I feel like vapers are actually starting to care more now than they ever have. We have fantastic activist leaders that are helping to guide the way to victory. I have no doubt that we will continue to grow and thrive as a community. I believe that in 2015 the hardware will be going into two directions. Some of it will become much easier and more simple to use, like we have seen with the Aspire nautilus and atlantis tanks. The other side of it will be come much more “hobbyist” and complex, and unfortunately, much more expensive. I think that in 2015 juices will only get better and better, as well as much much safer. People are much more wary of where their juice is coming from and things like ISO and AEMSA certifications will play a bigger part in where people are buying their liquids. Our numbers will grow, our options will grow and our fight against the FDA as well as state and local governments will be an ongoing battle. 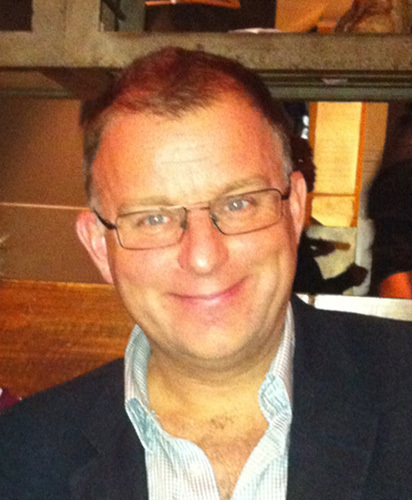 Professor J F Etter runs the Stop Tabac website and has been heavily involved in ecig research. In 2015, the tobacco industry will reinforce its grip on the tobacco/nicotine vaporizers market (e-cigs, heat-not-burn, Voke, pyruvate, Ploom etc.). Their business model rests on 3 pillars (R&D, regulation, marketing). They cannot envision doing business in this field without using their influence to obtain a ‘friendly’ regulation. This means sitting behind closed doors with high level civil servants and MPs, and building a high regulatory wall around this business. The consequences are that small players and Chinese manufacturers will be eliminated, because they cannot buy the entry ticket in this market (which is likely to cost tens of millions of dollars for studies and FDA applications etc.). The worse thing is that the tobacco industry is helped by many public health professionals, who relentlessly call for tighter regulation, not understanding that they are playing with the tobacco industry. In a few years from now, this industry will control this market, and they will be in a position to stifle this market, if they see that it is less profitable than the cigarette market. I think 2015 will be a big year for e-cigs, in both good and bad ways. The development of TPD implementing regulations across Europe will see some places with a good framework (and we certainly hope the UK will be one of these! ), and others with draconian and disproportionate frameworks that amount to little more than outright bans (Sweden and Holland seem to be leading the way for this category, unfortunately). This will, of course set off a wave of legal action – which I suspect will be won, but at great cost and with huge impact on the market in those countries in the meantime. 2015 will, of course, also see the first published standard for e-cigs, in the form of BSI PAS 54115. Hopefully this will be able to influence implementation in a positive way, not just in the UK, but also elsewhere. I think 2015 will also (finally!) see the first MHRA approved e-cig in the UK (and potentially more than one), which can be looked at as a good thing. However, given the restrictions imposed by medicines regulation, I expect it to be a disposable (this would make it a medical device, and these are easier to license than full medicinal products), with all the limitations that brings with it, including the fact that its use would be no cheaper than smoking. It’s almost certain to be produced by one of the Big Tobacco owned e-cig companies, as they are likely to be the only ones who can afford to jump through all the required regulatory hoops. This will, of course, introduce even more controversy, as a Big Tobacco product becomes available (potentially) on prescription. 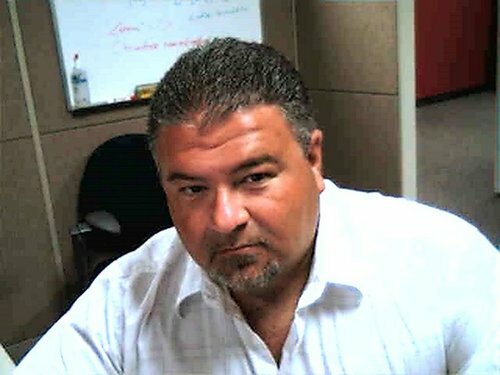 Publisher, writer and photographer John Manzione has been running online ecig magazine Spinfuel for the last three years. First, I’d like to thank The Ashtray Blog for asking me to come back yet again to offer up my predictions for 2015 as it pertains to our industry, the electronic cigarette industry. Last year I think I got it pretty much right by predicting that not much would happen. It didn’t. As 2013 there were more ecigarettes released, more eliquid companies popped up, and the FDA didn’t finalize their “deeming regulations” (sounds scary, doesn’t it? Deeming…. Uh oh!). New electronic cigarettes, new eliquids, same ole same ole. But I do have one or two predictions that I believe will happen. Smokers are moving past cig-a-likes and jumping into the bigger, better devices faster than ever. This will continue, and the time it takes for a former smoker to get to the larger devices will get shorter and shorter. This is also a good thing. Don’t get me wrong, if technology could improve to the point that we can get flavor, vapor, and ‘vape time’ in an NJOY sized device I’d be there with bells on. You’ll never catch me leave the house with anything bigger than a Spinner and Clearomizer, I’m not big on drawing attention to myself, especially with a large vaporizer. So, really, that’s all I have. 2015 will be like 2014 except the FDA will “probably” rule, and cig-a-likes will become the stopgap between smoking and larger devices, and Big Tobacco will rule the market in cig-a-likes. Have a great holiday season, and we’ll see you all in the New Year! Herbert Gilbert produced a prototype for a smokeless cigarette in 1963. He now works for Emperor Brands. As the inventor of the first electric cigarette in 1963 I predict that the continuing ongoing growth of scientific knowledge proving that tobacco kills while ecigs save lives can only result in even more millions of lives being saved…and that is my prediction based on simple logic. When people learn and comprehend the difference they will stop killing themselves with tobacco, and switching to ecigs will provide a proven and scientifically recognized way to do just that. Click here to read our interview with Herbert Gilbert. Next year will likely see big changes in the debate as other reduced harm tobacco products enter the market. In particular, heat-not-burn is set to enter many markets in a big way, with Altria/PMI and Reynolds introducing products they’ve been working on for decades. 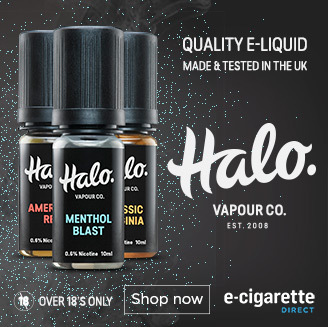 The concern for vapers is that these products will “muddy the category”. Although they’re likely to be rejected by most vapers, they will be included in the overall category by policy makers. The problem is, there’s likely to be considerable doubt over how reduced-harm the products actually are, and all the old arguments that have been raised about e-cigs (gateway, renormalization, safety etc) will return with a vengeance. Vapers must seek to ensure that e-cigs stand apart from these heat-not-burn products, while accepting that for some smokers they may well be good products. 2015 is going to be a year of consolidation, one way or another. PMI will make big inroads into the e-liquid category with their “Vivid” brand, and conceivably will take market share from the vapestore sector in the UK. Vapestores will either have to start competing strongly on price, or find much more creative ways to get customers through the door. The most vulnerable stores will be those selling single brand devices and liquids; stores which want long-term viability will have to cater much more to those who want variety and multiple brands. This said, the entry by BT into the open system category will likely bring many more smokers into vaping. Smart independents will capitalise on this. On the tech front, we should expect rapid innovation this year as power-regulated devices come down in price and become more widely available, and more widely accepted. This, combined with new tank systems that are hitting the market now are likely to take the high-power style of vaping to a wider market. In my view, these devices are more pleasurable, and will convert more smokers – but they are not without their own controversies, which will become more apparent as more vapers are seen to be using them. Lastly, in the UK and elsewhere, there’s going to be big discussions about tax. This has been bubbling under for some time, and the independent industry needs to seize the initiative to ensure that taxes do not favour closed systems over open systems. Particularly insidious is the potential for e-liquid to be taxed on a percentage per ml at its wholesale price – this must be avoided, as it massively favours the tobacco industry’s interests. 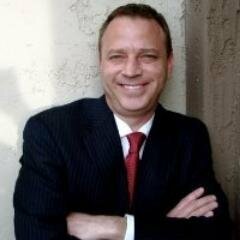 P Busardo runs the informative and very funny Taste Your Juice blog and YouTube channel. The Battle! The battle will continue in 2015. Bans, regulations, taxes, and all the other nonsense we’ve grown accustom to. Although we’ve grown accustomed to it, we can’t overlook it. It’s not the boy who cried wolf. This WILL affect us all eventually and we need to remain involved and continue to fight for our rights as vapers. I’d very much like to see a more coordinated effort and perhaps a “joining of forces” between the different groups currently available. Will vaping go away? At this point, I don’t think so. But how we choose to vape is constantly in jeopardy. Research! We’re going to see a lot more research being done on what we do and how we do things. Temperatures, liquids, wires, wicking materials will all continue to be tested and looked at. This can only benefits us as vapers, giving us the information we need to make better informed decisions on how we vape should we chose to use the information provided. Drama! I think the line between how vapers vape will continue to grow and I feel very disheartened by this. What we vape and how we vape it should not be important. The fact that we do vape should be paramount. We are all vapers. Temperature! I firmly believe 2015 will be the year of temperature control. Different systems, boards, and devices that allow us to regulate, control, and limit our vape via temperature. I believe the DNA-40 is only the beginning. Box & Regulated Mods! I think we’re going to see the decline in the popularity of tube and mechanical mods, but certainly not the death of them. They will always have their place and fans. I think the tube mod is a natural progression due to the shape of a cigarette and a battery, but in a personal vaporizer, I think the box mod just makes more sense. Onboard chargers and the ability to easily change batteries only add to their appeal. Clearomizers! The vape quality and consistency of the clearomizer continues to improve vastly over where we began. I think we will see the first replaceable head clearomizer that rivals the vape quality of the Kayfun in 2015. No Wick, No Wire, This IS a Game Changers! Ok, look, I’m going to continue to predict this until it comes true. Wattage! China will make the “Legal Vape 4000” a reality. Pink! Dimitris’ love affair with the color pink will continue to grow and flourish. Happy Vaping everyone and I wish you nothing but the best for 2015! THANK YOU! 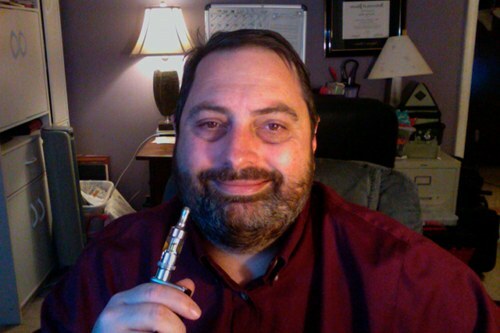 Dimitris aka The Vaping Greek is a famous ecigarette reviewer and advocate. Visit Dimisphere.com for more information. I am excited about 2015 with innovation and mainstream representation continuing to increase! Thanks to a grass roots wonderful community and more small businesses popping up all over the world, smokers now have a choice with improved equipment, artisan eliquids and education. What I am mostly excited about though is one thing we have been lacking as an industry and that is research! All of us that have made the switch are able to tell our story, how ecigs have benefited our life, improved our health and our budget. Unfortunately that is not enough when presenting the concept of tobacco harm reduction to legislators and regulators. With more and more scientists getting on board along with the newly launched E-Research Foundation I believe that we can now mount the evidence to a point where we cannot be denied the benefits of switching to a less harmful alternative! Ecigs are by magnitudes less harmful than traditional combustible tobacco. Given the undeniable market growth and the hundreds of thousands businesses and jobs that have been created there is urgent need for factual science to keep this product available for the millions of smokers it could potentially save. 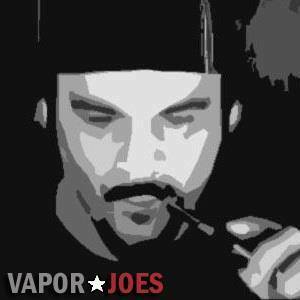 The well known and controversial Joe Petner shares daily vaping deals on his blog Vapor Joes. Tube mods and tube style mechanicals will continue to decline. People are sick of tubes and $200+ tubes at that. The new baby is regulated and unregulated box mods. You can already see the trend and it will only continue to grow. They are easy to make and anyone with decent soldering skills can make a mechanical box mod for under $30.00. People can become good mod makers for little to no start up costs. I welcome this idea. This year will be the dawn of what I call the “HybridOmizer”. An example is the Kanger Subtank. The idea is – allow both fill -n- vape and rebuilders use the same atomizer tank. A brilliant idea and so far it seems to be working well. Dripping atomizers will continue to be very popular and we should see a lot more innovation in that area of the market. In any industry there are always serious market corrections and we are headed for one. Like any industry were there is a ton of growth, you see a ton of saturation. This year I predict we are going to see many online sites, juice lines, and brick and mortars go out of business. This is not due to a lack of growth in the industry. This is due to so many vapers starting their own shops and juice lines. We have already seen some very popular websites go out of business and I fear this will be a continuing trend. 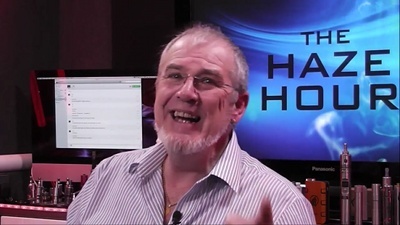 My advise to those already in business – SAVE YOUR MONEY. You will need it to weather this storm. This is one prediction I would love to be wrong about. Innovation in vaping always seems to amaze me. Once we think nothing else can be invented or made – we are proven wrong. I’m sure there will be a ton of new devices / atomizers that no one dreamed of – that is what I look forward to the most. 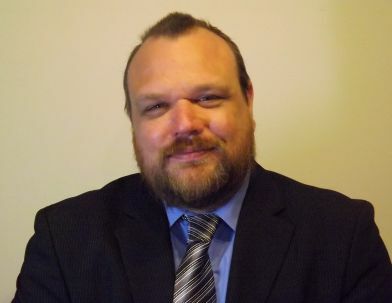 Former editor David Dorn is producer of Vaper Trails TV and a well known ecig activist. 2015 is going to be an exciting, if not altogether optimistic year. On the products side, we have just seen the introduction of the DNA40 Temperature Control technology that promises the utmost on customisation for the vaping experience, with “off the shelf” tank system manufacturers already buying into the paradigm and producing specific coils for it and their tanks. That promises much – and it will be interesting to see how it develops over the coming 12 months. On the legislation front, the UK has a new All Party Parliamentary Group on ecigs being launched in the run-up to implementation (or otherwise) of the Tobacco Products Directive. This holds the promise of the vaping community actually being heard by those who would govern us, in a formal and official setting. Evidence presented to the APPG will, doubtless, be filtered back into Parliament as a whole – exciting times. The New Year will see 16 months until the TPD is expected to be implemented. In around the same order of time, Totally Wicked’s challenge to Article 20 within it will be heard in the ECJ. My feeling is that they have a good case. The timing, though, could be better. Everything’s going to be happening right up to the wire. 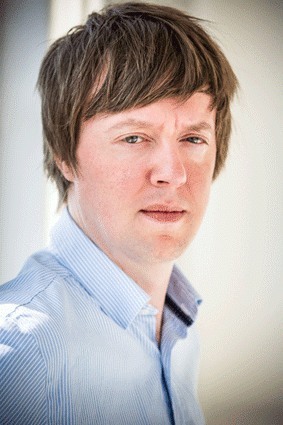 Former smoker Brian Fojtik is the director of external relations at NJOY. Politicians don’t like to pass new taxes in the same year they ask voters to send them back to office for another term. Now that the 2014 elections are behind us, states are required to pass 2015 budgets to fund their operations for the coming years. Pressure to create new excise taxes on electronic cigarettes and vapor products will be intense. Revenue from cigarette excise taxes have been on a downward trend and will continue to decrease as more smokers leave combustible tobacco behind in favor of electronic cigarettes and vapor products. The tax pressure is additionally heightened by the fact that not only the CDC and tobacco control, but big tobacco (RAI) is actively pushing to create new taxes on these products. All eyes will be on Altria to see whether they support these efforts as they have in some states in order to achieve beneficial tax status for their smokeless tobacco products (Michigan), whether they will remain largely silent on the issue as they did in North Carolina, or whether they will protect the future growth of this category by opposing new taxes. The outcome of the 2014 elections was largely favorable for the vapor community in that Republicans are less enthusiastic than Democrats about passing new taxes and expanding the scope of government. However, those Republicans also have close relationships with, and have received considerable financial support from, big tobacco. RAI has pushed for the banning of open systems and flavored vapor products. They’ve also indicated a desire to see online sales of products eliminated and have begun proactively pushing for product usage bans. It is critically important that the vapor community engage with elected officials to let them know we are not big tobacco, that our products should not be subjected to excise taxes, and that adult smokers should be have access to non-combustible, non-tobacco products that are affordable and attractive. We must let elected officials know that we are watching and we don’t view market-destroying crony capitalism favorably. Vapers shouldn’t be punished for specifically choosing not to smoke. In 2014, we demonstrated that when we work together, we can win. However, as pressures become more intense, we must double down in 2015. 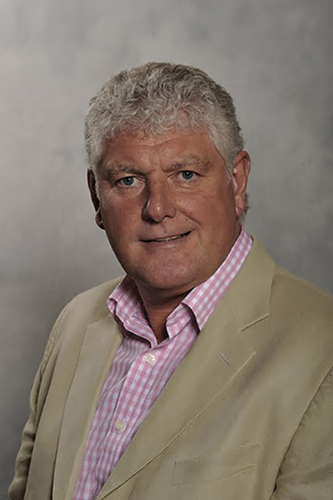 Byron Davies, Welsh Conservative Member for South Wales West, has been a strong supporter of ecigs and, along with Liberal and Plaid Cymru AMs, has been fighting the Welsh government’s proposals to ban ecigs in public places. 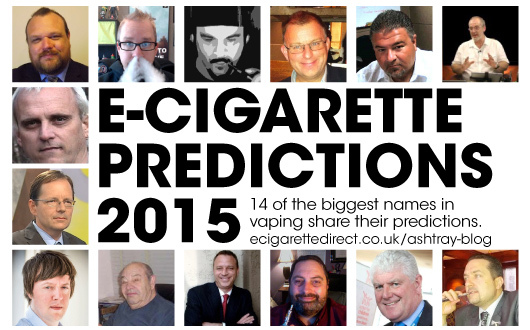 I believe 2014 has set the scene for the an almighty showdown on E-cigs in Wales in 2015. Mark Drakeford, Minister for Health and Social Services very quietly published the consultation response to his Public Health White Paper on 6 November with no fanfare or debate in the Assembly Chamber. Essentially I believe, he has not found sufficient evidence to ban E-cigs in Wales, as his Labour Government so clearly wants to do. This has been compounded by a response so clearly weighted against an all out ban. The Public Health White Paper apparently set out a series of ‘bold and practical legislative proposals’ to address specific health challenges. In essence, it’s the nanny state gone mad. The Labour Health Ministers statement talks about “The breadth of strongly held views on the full range of proposals” which I suggest means no-one agrees with me on E-cigs, but I am not backing down! The Welsh Labour Government are now reflecting on the responses received as detailed work continues to bring forward legislation on the proposals set out in the White Paper before summer recess in 2015. This sets the scene for a clear showdown on E-cigs. As I have stated he clearly wants them banned, we want to see the evidence to support that position – not unreasonable. The Industry is well aware that there is no clear evidence to indicate that banning would have a positive affect on health outcomes, quite the opposite in my experience in most fields. This local fight though, has to be scene in the wider debate despite a brief success following an amendment in the July 2013, European Environment committee by Conservative MEPs., suggesting that it was disproportionate to regulate e-cigs more excessively than even regular tobacco. In subsequent negotiations between parliament and national governments, text was added to the agreement – behind closed doors, to once again over-regulate e-cigs. The so-called Article 18, which would enable the EU to ban ‘refillables’, if only three EU countries ban them. It would also restrict all but the weaker e-cigarettes (20 mg/ml nicotine) and it would introduce burdensome new manufacturing provisions for nicotine cartridges that go beyond the safety measures needed to make then child-proof! Clearly where countries like Wales lead, other’s may quickly follow and through Article 18 – the EU could blanket ban! This agreement has mishandled e-cigarettes regulation. By making it harder for smokers to get hold of e-cigarettes of the strength they require, the Welsh Labour Government and other EU Directive’s will serve to increase the chance of them resuming smoking tobacco. We will fight this over burdensome and ill thought out regulation on every front, I fear Wales is going to be one of the early battle fields in 2015! 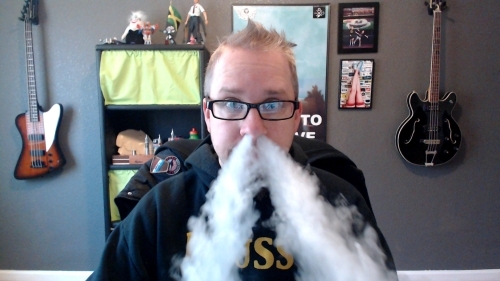 Steve Vape is a US blogger who covers ecigs news, tips and tricks on Steve’s Vaping World. – (US) The local vape shop industry will begin to consolidate. In many locations across the US, there are multiple vape shops in close proximity to one another. Like what happened in Spain, shops will begin closing due to the heavy competition. -(world) The trend of developing nations to put harsh restrictions on e-cigarettes, if not outright bans will continue. The rationale will continue to be shaky at best. This is driven by the WHO’s actions in 2014. -(UK/EU) Totally Wicked’s legal challenge to the TPD will largely be unsuccessful. 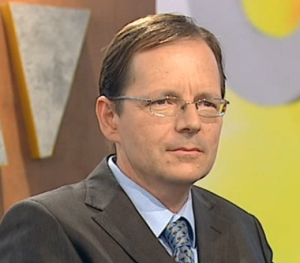 Possibly, some small changes will be mandated, but they ultimately will not stop the implementation of the directive. -(US) The FDA will attempt to implement its deeming regulation of e-cigarettes. However, legal challenges and other red tape will keep it from being applied in 2015. -(world) Running out of options, prohibitionists will increasingly attempt to get flavor bans implemented under the guise of protecting kids. What are your predictions for next year? Let me know in the comments! Don’t know why VJ has to always toot his own horn so much , seems his predictions were wrong . We continue to see tons and tons of mechanical tube mods being released . Saying i expect new and crazy things this year is not going out on a limb , how bout saying what type of new and crazy things we are likely to see. Anybody who tried e cigs and didn’t care for them clearly gave up much too soon and probably gave up after trying the worst of the worst out there. The overwhelming majority who said they don’t care for them will gladly admit they tried a couple crap cig a likes and gave up lol, well yeah , all of us would of gave up as well since cig a likes are the worst e cigs on the planet. Once i introduced them to the proper vaping gear and let them try the endless varieties of flavors every single one flipped over them and now love them to death. There’s one thing that struck me as indicative. Where I live, nobody knows about research that proves “passive vaping” is practically harmless. 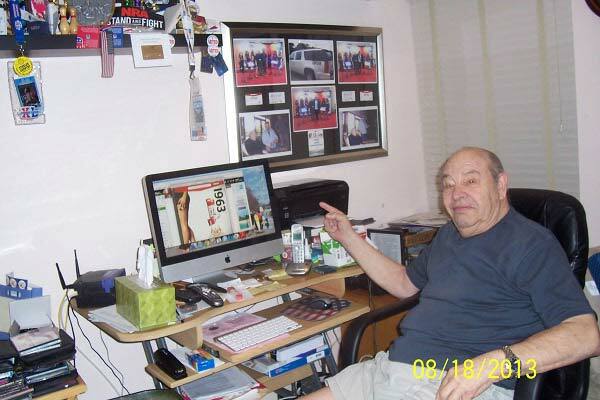 Nobody knows about DrFarsalinos and his work. Nobody has ever heard about Herbert Gilbert either. Yet, every grandmother in my neighbourhood has warned me about that one “Japanese research” which “proved” e-cigs are “more harmful than regular cigs.” And, unfortunately, my neck of woods is not the only place where misinformation has become an “informed opinion”. We have a long, long way to go until truth somehow finds its way through all those Big Three lies. For 2015, we want proper regulation not banning of electronic cigarettes. We support regulated manufacturing practises of e liquid. We want the banning of the sales of electronic cigarettes to person under 18. The banning of sales to under 18s is a dead letter in the UK. Thirteen year olds all over town are vaping, spending money on this rubbish that they don’t need.